Copper and other warm metals are having a major moment right now. The only problem? These beautiful accessories can be a little pricey. 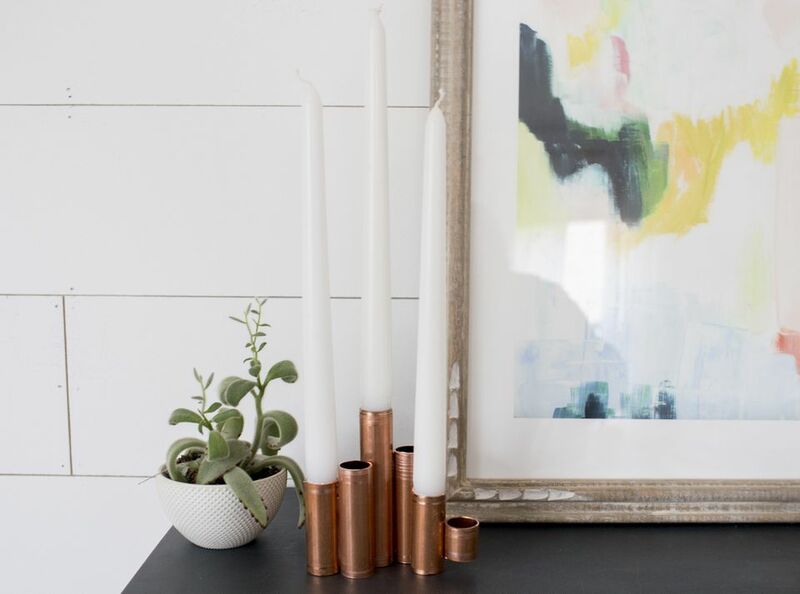 But why not make these diy candle holders instead. They're an easy craft to make on your own if you have a free afternoon and a little bit of patience. This beautiful design can grace your dining room table with minimal effort. When you choose your candle, make sure it will fit in the top of the pipe. While most tapers are about the same size, you want to be absolutely sure the version you want will work with your candle holder. On another note, you'll want to use the craft adhesive in a well ventilated area to make sure you're not inhaling the fumes. One of the interesting parts of this project is that there isn't one right way to do it. You can make a larger version or smaller version; it really depends on your preferences. But it's worth noting that this looks especially cool if the lengths of pipe aren't all the same, you want variation in the lengths of each piece. Measure out your sections ahead of time so you know where you want to cut. You'll love this method to cut the pipes, especially if you're not a fan of power tools. 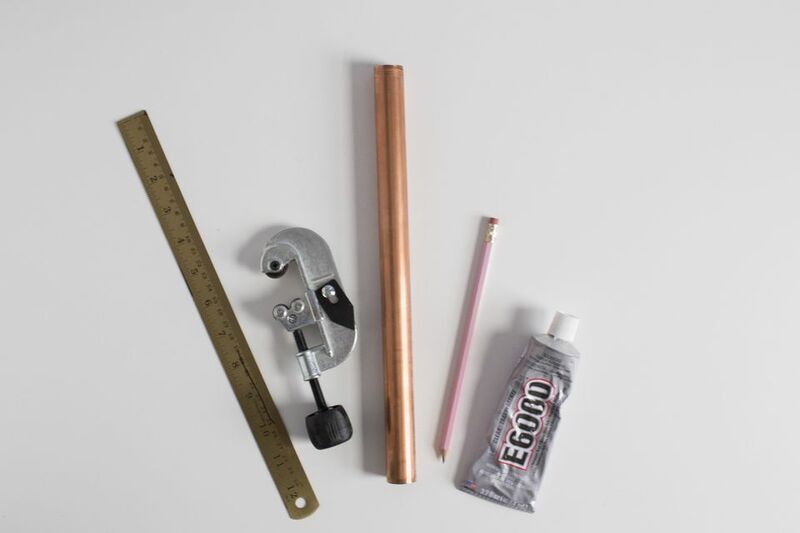 Copper is a surprisingly soft metal and can be cut using a handheld pipe cutter. It works almost like a vice grip where you place the pipe in the center then use a gentle rocking motion to create a groove in the pipe. As you go, you'll keep tightening the grip and working the cutter around the pipe until the length is severed off. Repeat until you have all of your pieces cut. There should be a tool on the side of the pipe cutter that you can extend that will fit inside the top of the pipe and will help work out any weird shards or little excess pieces of metal off the top. You can also use a metal file if you have some real jagged edges. Before you open the glue, figure out how you want to fit your sections together. The E6000 adhesive does take time to dry completely, so you want to make sure that you go slow and steady to get the best results. If you need to, it's better to glue some pieces together first, let them dry, and then construct the entire thing. You'll want to run a seam of the adhesive up the side of the pipe; be liberal but you want the glue to be thin enough that it won't show out the sides. Letting it dry for as long as possible is always smart, so give it a full day or two. Also, if you glue pieces that are small and sort of floating, it's a smart idea to prop them up with a notebook or a piece of cardboard. Once the candle holder is completely dry, add your tapers.